Larry is looking at me with scorn and disbelief. 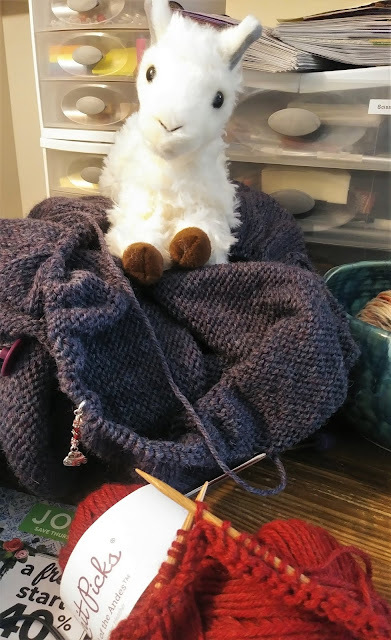 Yes, I did cast on another project before finishing the sweater, but in my defense, I needed a small, portable project. Larry should be completely understanding about this. I certainly am! nothing wrong with more than one project!! Larry should look away.